Last week, Regency Centers announced the addition of Huff Harrington to its Buckhead Court, shopping center in Atlanta. Its well-traveled and curated home selections are an exciting addition to one of Regency's most vibrant centers in the market. 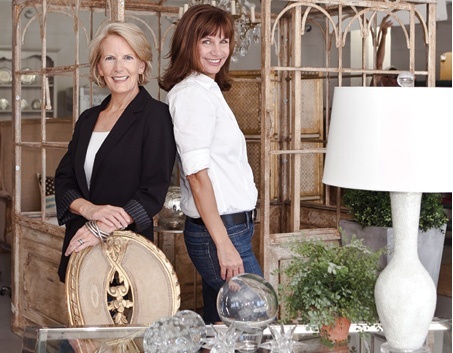 Co-owners Ann Huff and Meg Harrington, whose passion for art, design and all things French, turned their idea into a reality in 2005. What started as Huff Harrington Fine Art has flourished into a French-inspired design and décor studio where old world elements meet modern day designs. Huff Harrington also offers planned trips to their country of inspiration, where groups can enjoy painting in Provence or scenic tours to Paris, all handpicked by the duo. The Buckhead Court location will offer art, design services, tableware, home décor and furnishings, along with accessories and jewelry. Huff Harrington expects to open the 5,000 SF home store this September. Buckhead Court is located in Atlanta’s prestigious Buckhead neighborhood. Huff Harrington Home will join “Mex-Tex” restaurant Superica, along with Range Boutique, dtox and Buckhead Lash Studio, who recently opened for business.